In 2013, the Government of BC and Doctors of BC embarked on A GP for Me, a provincial initiative that aimed to improve patient access to primary care in British Columbia. A GP for Me ended on March 31, 2016, and its achievements established a solid foundation for the next phase of primary care system redesign in BC. 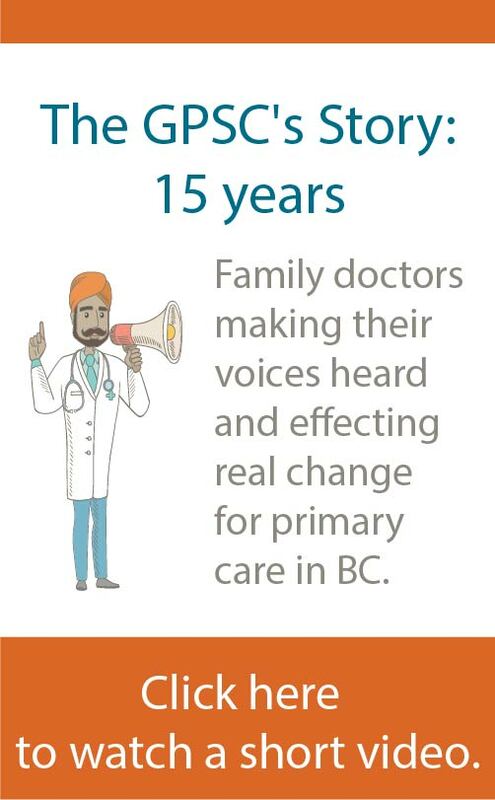 More than 3,000 family doctors and 33 Divisions of Family Practice from across BC launched 150 projects to improve primary care in their communities, aiming to increase their capacity to take on new patients, better support vulnerable patients, and strengthen GP/patient relationships. Working with community partners, local divisions worked to recruit and retain physicians, enhance team-based care, and develop systems to connect patients with family physicians. These combined efforts resulted in significant, positive benefits for patients across BC, with 178,000 people who previously did not have a family doctor being able to access one. The initiative set a strong foundation for the move towards a team-based care approach, as 101 allied health professionals such as nurses, social workers, and mental health professionals began working with family physicians to meet the needs of patients. This enabled GPs to maximize time for patients and ensure that even more British Columbians have access to patient-centered primary health care.